Questions? Call us at 1-954-781-4714 – http://handi-crafters.org/?search=using-a-quarter-of-propecia We’re Here To Serve You! http://cinziamazzamakeup.com/?x=dove-acquistare-viagra-generico-25-mg-a-Torino Professionals that recognize the best continue to turn to IBIZ® time and time again. IBIZ® Everything Wash is car wash soap for the most discerning buyer. Collectible car enthusiasts and high-gloss sheen seekers in the automotive, airline and boating world recognize the value of a luxury car soap and use it to bring out a true, luster shine. vardenafil generico Lazio High-quality car soap is meant to protect and enhance the paint job on your car, motorcycle, boat, and airplane. It covers up blemishes and flaws while creating a more uniform, reflective surface that shines better and adds greater depth to your paint job. Use it to float off dirt, mud, and sand from your truck, RV, trailer, and boat. Known worldwide in classical car shows, IBIZ® brand products have been subject to more than $30,000 worth of independent laboratory test results. When competitor brands claim to be the best, we invite them to look at our portfolio of past work. We’ve had the pleasure of being endorsed by: the Corvette Club of America, Ferrari Race Team, Porsche Race Team, Antique Automobile Club of America Museum, Natmus Museum, and Posies Rods and Custom. We love it when car enthusiasts see their reflection in our products! 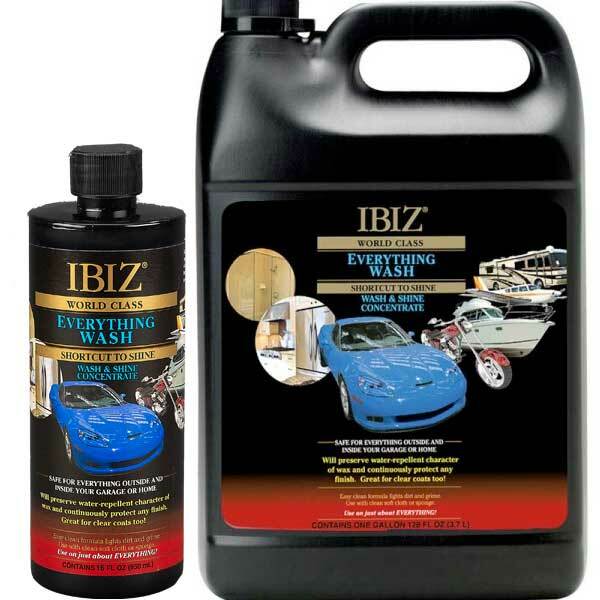 IBIZ® is used by Ferrari clubs, antique car clubs, and automotive museums. We love going to local trade shows and hearing from the customers that swear by our product. We believe that if you give us a try you won’t go back to your old car care products. Why The Top Car Wash? 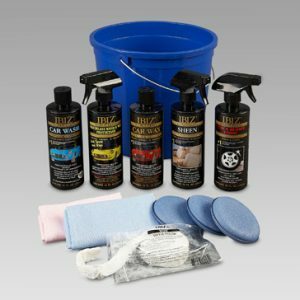 Leave it to a live demonstration to show you what you’ve been missing in your wash. IBIZ® Wash floats off dirt, grime, and road film. It won’t harm paint or wax finishes and is meant to be used in combination with other products that will enhance the longevity of your vehicle. The formula contains a special polymer which produces an invisible protective shield that is suitable for all hard smooth non-porous finishes including clear coats. 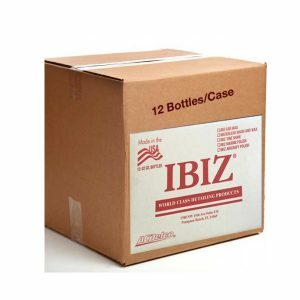 Compare our product to the standards of your club, and you will soon find yourself ordering it by the case full! Luckily there are a wide variety of sizes available for you to choose from.